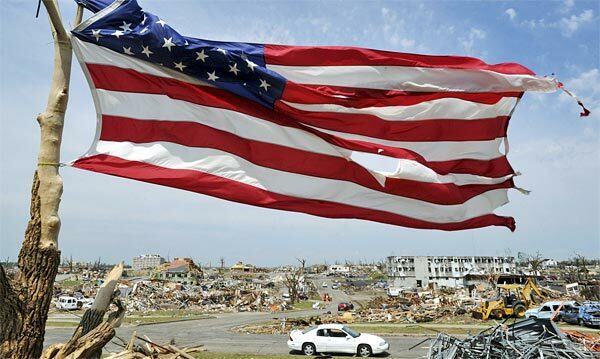 Posted on : April 1, 2012 By Erica M.
A tattered flag waves in the morning wind outside the tornado-stricken St. Mary’s Catholic Church on 26th Street in Joplin, MO. Erica M. is the Managing Editor of Radical Survivalism Magazine. Gallery: Is America A Country In Decline?